Rated as the number 4 of 83 attractions in Ho Chi Minh City (by members of Tripadvisor), the War Remnants Museum remains as controversial as ever. Over the years it has had several names. How confrontational they have been is directly related to the diplomatic situation at the time. When it opened in 1975, in the former US Information Agency, it was titled the “Exhibition House for US and Puppet Crimes”. In 1990, as relations between the US and Vietnam thawed, it became the “Exhibition House for Crimes of War and Aggression”. It changed to the current title in 1995 when Diplomatic ties were renewed and the US dropped embargos on the country. Located centrally in District 3, at 28 Vo Van Tan Street, the museum is easy to incorporate on an easy day walking around Ho Chi Minh City. It’s just up the road from Tao Dan, one of Saigon’s most pleasant parks and around the corner from the Reunification Palace, Saigon Central Post Office and Notre Dame Cathedral. Large artworks portraying “Peace” adorn the surrounding iron fence. In the yard surrounding the building you can find military equipment from the period, including fighter jets, helicopters and tanks. There’s also a bit of unexploded ordinance around but don’t worry, it’s been disarmed. 3 jars of preserved human fetuses [allegedly] deformed by exposure to components in Agent Orange that was widely used to defoliate large tracts of Vietnam with the hope of flushing out the Viet Cong. Residues of these chemicals have wreaked havoc for generations since. “Requiem”. A homage to photojournalists who died bringing the horror of war to the world from both sides of the conflict. The museum also houses short term exhibitions and displays at times and has several programs to educate younger generations on the terrible nature of war. According to official estimates, this museum receives over half a million visitors a year, 2/3rds of which are foreigners. Many feel the museum is one-sided and essentially propaganda by the victors. Personally, I think it’s important to remember that this country has been involved in terrible wars. Horrible acts were committed by man against man (and women and children!!). Admittedly bad things were done by both sides but I ask the question. Can you see the Vietnamese side of the story in any American or French museum? I honestly don’t know as I haven’t visited but I doubt it. I would love to stand corrected by someone who does know so please leave a comment below. This museum, one sided as it might be, shows the horrific nature of war and the impact on a nation and its people and is an integral part of Vietnam’s history. The real issue I have is that we seem, as a species, not to have learned any of the lessons from the past. We continue to inflict pain and suffering on innocents as we wage war on each other in the name of freedom, religion and greed. If the museum makes you feel a little uncomfortable then that’s not such a bad thing. Maybe as a whole we can influence our governments to stop using aggression to solve “problems”. 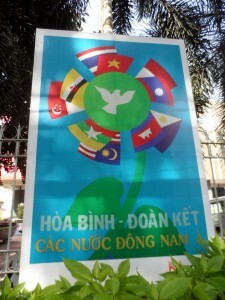 The positive thing for me is there appears to be very little resentment by the current generations of Vietnamese. Visitors, including Americans are welcomed with open arms, warm hearts and overwhelming hospitality to this country. Visit, learn, ponder and form your own opinion.